Our 5-10 years old class meets every Saturday and kids already show tremendous growth and potential. Recently they discovered new media of scratchboard and loved it immediately. 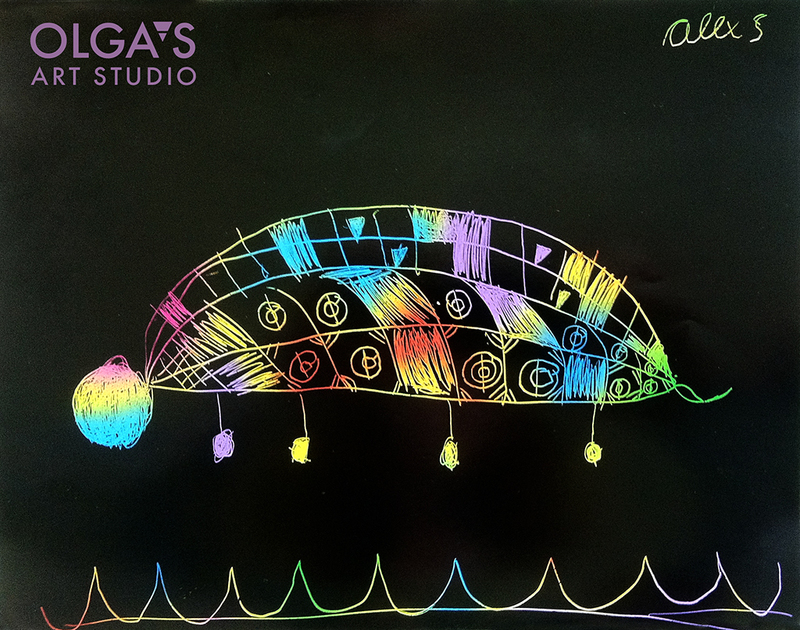 5-year-old Alex improved her understanding of symmetry and learned how to create unique ornaments and patterns on butterflies and turtles. Stop by the studio, meet the teacher and try a class! 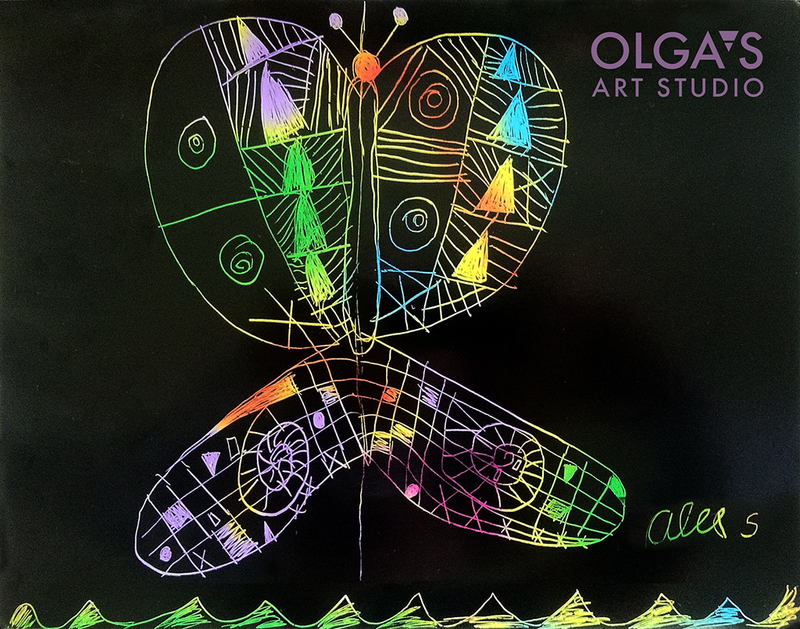 This entry was posted in Children's Artworks and tagged butterfly, children's art class, kid's art class, scratchboard, turtle on October 24, 2014 by Olga Rogachevskaya-Chu.